The heat continues, the fireflies are mostly gone and the cicadas are making noise. I really want to find and photograph the cicadas. I hear them, but have yet to find one. 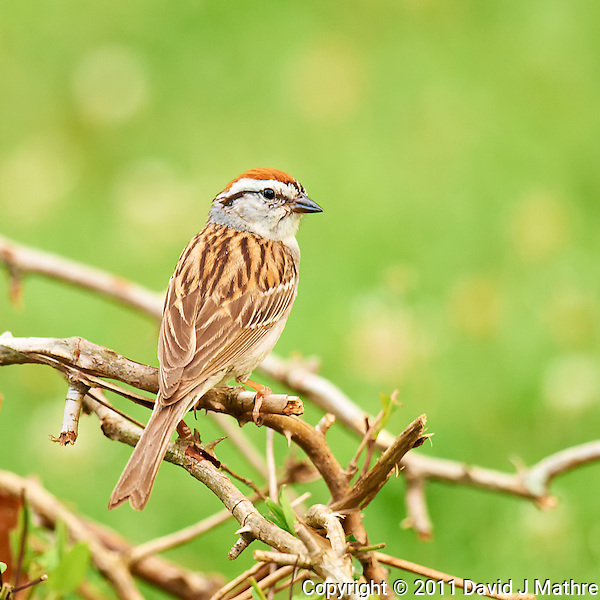 While sitting out on the deck I did get a chance to photograph what I believe is a chipping sparrow. Thom Hogan (and birders) would call it a LBJ (little brown job) — but I need the practice focusing and getting a sharp image with a big telephoto lens as part of my quest to get to 10,000 hours. 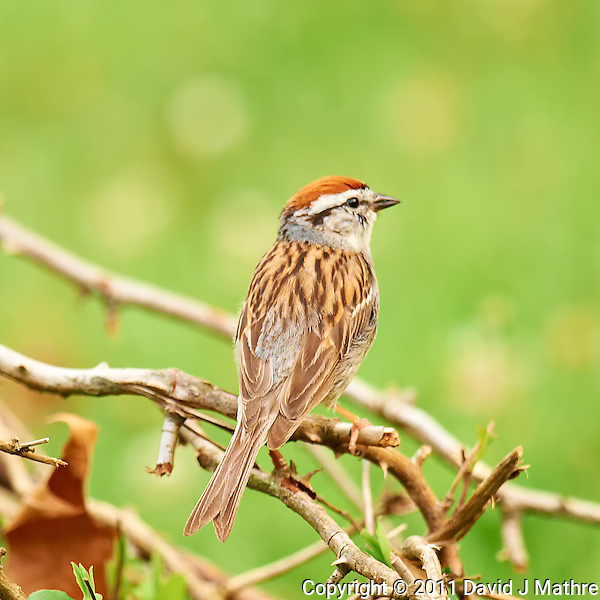 Chipping Sparrow. Summer Nature in New Jersey. 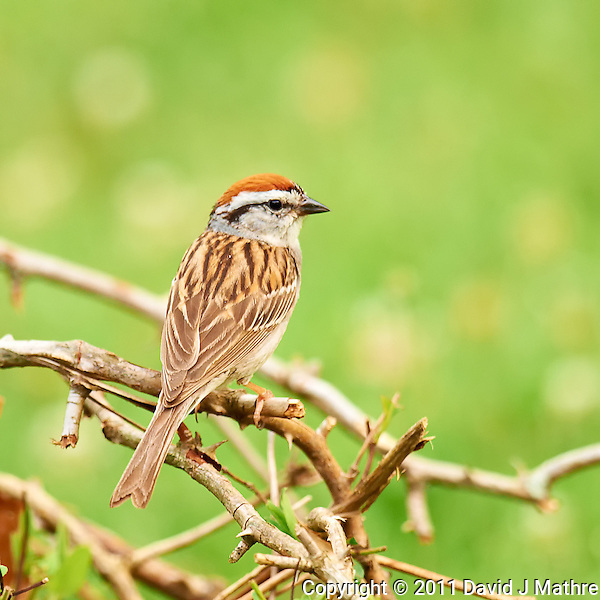 Image taken with a Nikon D3x and 600 mm f/4 VR lens (ISO 400, 600 mm, f/4, 1/50 sec) on a tripod, VR-ON, Mirror-UP. Raw image processed with Capture One Pro 6, Nik Define 2, and Photoshop CS5.